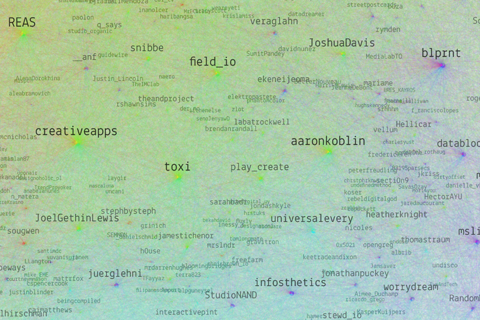 Resonet is an attempt to map the twitter community around the resonate festival, using a technique similar to the vizosphere I made earlier. This time around, I used a zoomable SVG map, which makes text labels searchable. Make sure to also check out the data files and analysis, and feel free to remix the data!